This perennial freshwater lake, nestled among wooded hills, is the only one of its kind in Kerala. Boating facilities, a children’s park, a handicrafts and spices emporium and a fresh water aquarium are among the tourist facilities available here. 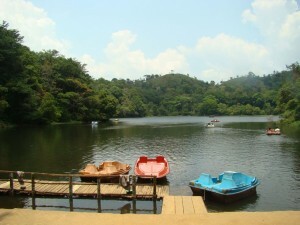 The lake is 32 km south of Vythiri Resorts. This entry was posted in Kerala, Pookot and tagged pookot lake. Bookmark the permalink.